None of the medical and other information on this web site, including all downloadable products, constitutes professional advice. It is intended for general informational use only. No doctor-patient relationship is implied nor otherwise established between the authors and site visitors. Although the content has been researched and considered correct and accurate at the date or original publication, no warranty regarding the content is made. Visitors should seek the advice of qualifed medical and other professionals. No contract between the authors and readers is implied nor established. “Armageddon Medicine” (including all of this web sites contributors and writers) assumes no responsibility for information contained herein. The authors disclaim all liability in respect to any informational content on this web site. “Armageddon Medicine” and its authors accept no responsibility and exclude all liability in connection with browsing this web site and/or use of information herein, including but not limited to any liability for errors or omissions of any kind. All content on this site is subject to change without notice. 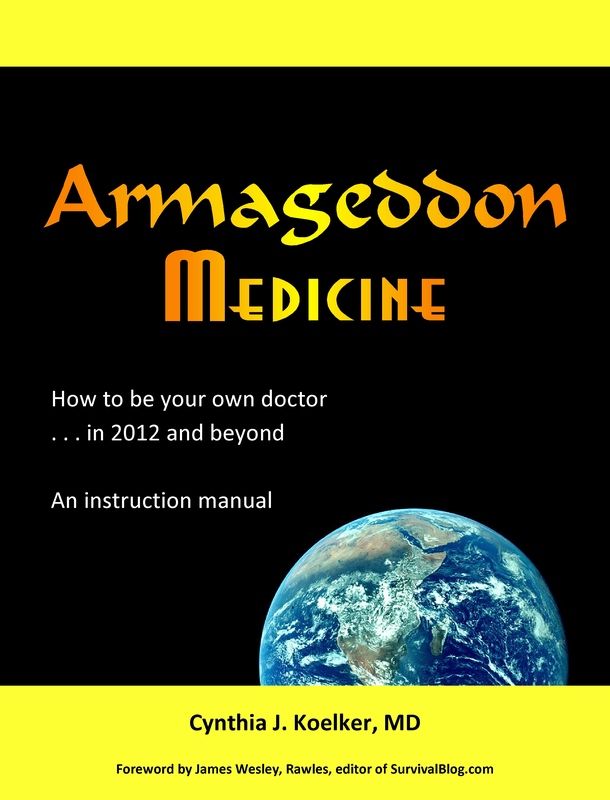 “Armageddon Medicine” and its authors expressly disclaim any and all warranties, express or implied, and hereby exclude liability for any and all damages, losses, or claims of any kind with regard to any and all content on this site, including written and spoken material (including but not limited to affiliated teleseminars and conferences). Reference to any product, book, course, web site, material, or other service does not constitute or imply an endorsement or recommendation by “Armageddon Medicine” nor its authors. All external links are provided for convenience only and are taken at your own risk. Neither “Armageddon Medicine”, its authors, nor creators accept liability for any linked sites or their content, nor does any link from “Armageddon Medicine” to an external web site imply an endorsement of said site. “Armageddon Medicine” accepts no responsibility for the content or use of this or any linked web sites. The reader is urged to exercise appropriate caution when visiting linked sites. Although the authors and “Armageddon Medicine” seek to publish content that is correct and accurate, the information contained throughout this web site does not constitute professional advice of any kind, and is not warrantied as true. No one affiliated with “Armageddon Medicine” can be held liable for use of information contained herein, nor on external links.